I am so excited! 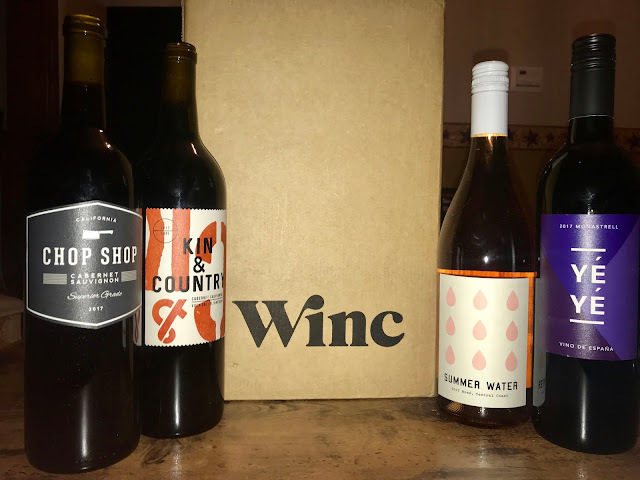 I received my one month subscription box from Winc and I am very pleased with the selections that I received. I got three red wines and one rose'. 2 were corked and 2 were twist off. I personally enjoy all kinds of wine. I prefer dry but I also like to try new wines. Lately I have been experimenting with new dessert wines. They are perfect for serving to guests, especially during the holidays. Let me tell you a bit about the Winc Monthly Wine Subscription. The process to get started with the Winc Monthly wine subscription box was so simple. I was asked to take Winc's 6 Question Palate Profile Quiz, and based on my answers was matched up with wines they felt I would enjoy. I did change out one of their recommendations for another bottle. Winc's monthly wine subscription boxes make a great gift for any wine lover and they are a great way to try new wines from different regions. Get $22 Off Your First Month of Winc Wine - Winc offers 4 personalized wines each month, delivered to your door. Bottles start at just $13 each. Visit www.trywinc.com/usfamilyguide to learn more. Disclosure: This post is powered by US Family Guide. I received product to review in exchange for my honest personal opinion.